With over 12 Years experience in the UK domestic steam shower and shower cabin industry Steam Shower Spares is the number one choice for spare parts in the UK, Europe & USA. Call charges to 0844 numbers vary from different providers. Please check with your phone provider if you are not sure. Please note in line with UK Distance Selling regulations we will only accept unused returns within 14 days of the the date that you received your order. Need Help with your Shower? Please note - We are UNABLE to offer technical support for your shower. We do however have over 10 years experience working specifically within the Steam Shower & Shower Cabin industry and our vast range of spare parts are compatible with 100's of different models. The quickest way for us to help you find what you are looking for is to send us an email to enquiries@steamshowerspares.com providing as much information as you can about your shower including the brand, model number, control panel type, approximate age etc. Adding photos of the shower and more specifically of the part you are looking for will greatly speed up our ability to help you. We work hard to keep this website up-to-date with new items as soon as they are available to us. We cannot source or supply items of all makes and models of shower. ALL items we have available are listed on the website. Cannot find the part you need? If you have scoured our website and even used the SEARCH tool and cannot locate the item you need, it may be that we are unable to supply it. EVERYTHING we can supply is listed on the website. When I go to the checkout, it does not show my delivery location. We can ONLY deliver to some destinations Worldwide. Please refer to the 'Delivery' Link at the bottom of the page for a list of countries we ship to. This address is for correspondence ONLY, we do not keep stock there or have a showroom. We even supply parts to other online shower spares sellers! Some parts we have are standard fittings which mean they can be fitted to other shower models, such as hand showers heads, hoses with 15mm threaded fittings etc. If you are looking for a replacement shower door handles, braided hose, steam hose, steam pod, thermostatic cartridge, control panels or pads, monsoon, hand showers, LED shower lights for steam shower cabins, remote controls and shower door runner wheels. If you place your order for a shower cabin spare part or replacement steam shower spare, before noon, Monday to Friday, we will dispatch your item the same day. We offer a wide choice of delivery options and can even offer shipping to some overseas destinations. 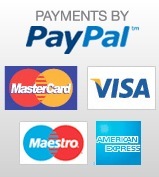 Our secure online ordering system makes ordering SAFE, SECURE and FAST thanks to PayPal. You get clear updates on the status of your order and can even log into your account to print copies of your invoice off etc at a later date. All spares are held in house and are picked, packed and dispatched from our extensive shower spares department. If you are looking to buy a new shower cabin, steam shower, steam and whirlpool bath, hydro massage shower, steam cubicle, shower enclosure shower cabin, cheapest steam showers in the UK from one of the other leading UK Brands like AquaPlus, Lisna Waters, Insignia and AquaLusso, then why not visit Steam Shower & Sauna for the BEST and LOWEST prices - Guaranteed. We have a range of shower valves suitable for replacement or upgrade to your shower. 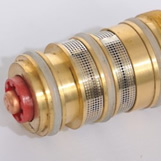 Sounds like you need a new thermostatic cartridge. 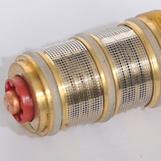 The thermostatic cartridge is the part that controls the water temperature in your shower. It is quick and easy to replace and we a useful videos online to show you how to remove and fit. Shower doors not running smoothly? Steam Shower Spares hold their own stock in house, so we can offer not only super quick dispatch up to 4pm Monday to Friday, but we are here to help on the telephone. Looking for the BEST PRICE on your NEW Steam Shower, Shower Cabin or new Bathroom Suite? Take a look at the GREAT PRICES we have on your new shower and with a Guarantee we will beat any genuine price. We sell only GENUINE AquaLusso Shower Cabins, Steam Shower and Steam with Whirlpool Bath, direct to you. We have the latest Alto shower enclosures, Alto steam shower cubicles and whirlpools as well as the intra stylish Opus range with its polished frame. Choose from Carbon Black or Polar White finish. Steam Shower and Sauna - Your No1 Shower Cabin Supplier.